Having seen just how quickly an app like Instagram can become a billion dollar success story, it figures other developers would want to try their hand at building competitive image-sharing apps. 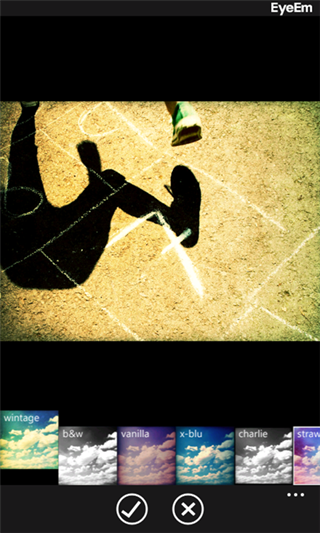 EyeEM is one such app, and with an iPhone and Android version already behind it, its creators have sought to grab a market Instagram has yet to facilitate – Windows Phone. 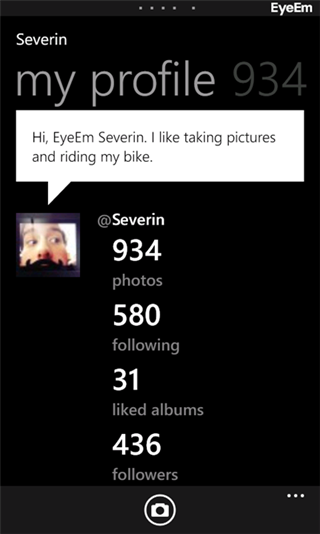 With so few apps and devices for consumers to choose from, it’s not surprising Instagram doesn’t feel compelled to cater to Microsoft’s ecosystem, but for those using Windows Phone 7.x, EyeEM might be your best way to join the image sharing craze. It follows an almost identical pattern in terms of how it works. You take a photo or add an image from your library, add one of the eleven preset filters (if you so wish), and share with the world. Rather than operating using the hashtag system, you can add images to categories such as food, drink, pets, new haircuts etc. The whole app has a family-friendly feel, and the interface is extremely easy on the eye. Unlike Instagram, which has a rather bland, unimaginative interface, it’s a treat to look at, and even though functionality should always be the priority when creating apps, one focused on images should always look as though care has been taken over every UI element . You can easily share your images with those on other social networks (which is just as well, since there aren’t many folk gracing EyeEM just yet), and you can update your friends on Facebook, Twitter, Flickr, Foursquare & Tumblr. 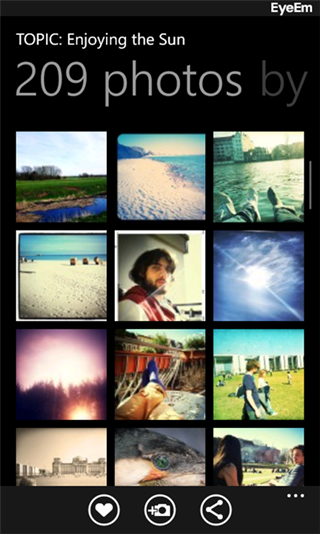 As somebody who used Google’s Photovine during its short lifespan, I would say that EyeEM is largely similar. Although Photovine didn’t manage to capture the imagination in the way the Big G had hoped, it still garnered a decent following, and its fate bears no reflection on the direction of EyeEM. Instagram’s almost overnight growth and success will be hard to emulate, and with such a large following, consumers will be unlikely to migrate to a less active service – even if there are reservations about Facebook’s influence. Be sure to check out our Windows Phone 7 apps gallery to explore more apps for your Windows Phone 7 smartphone device.